My studio has recently undergone a transformation and I love how light, bright and airy it is.. most of my BABY Collection items are in very neutral, muted tones, but I have to admit I love how much bright colors pop in this space! 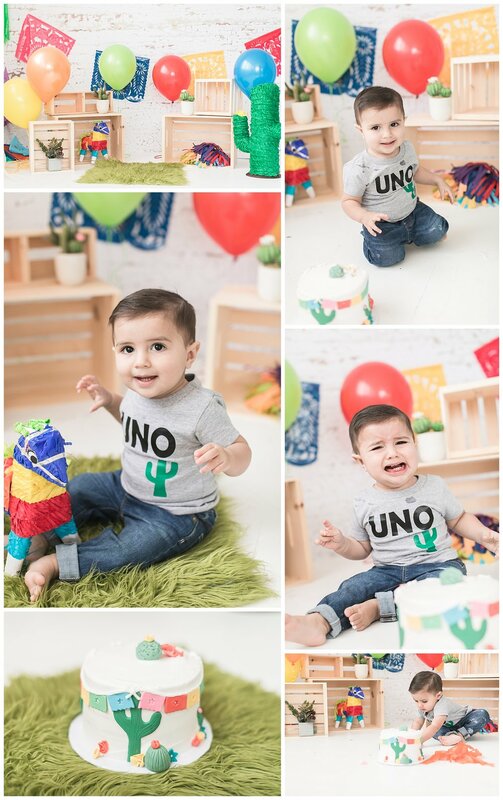 Check out Levi’s one year colorful papel picado cactus cake smash… mom brought the cactus piñatas and I’m pretty sure I squealed out loud!! Levi wasn’t a fan of getting frosting on his fingers, but he did enjoy his session.. just look at his gorgeous little smile!! Love this session!!! One of my favorite cakes from Sweet Pea and Me Bakery! I love this woman’s work!!! 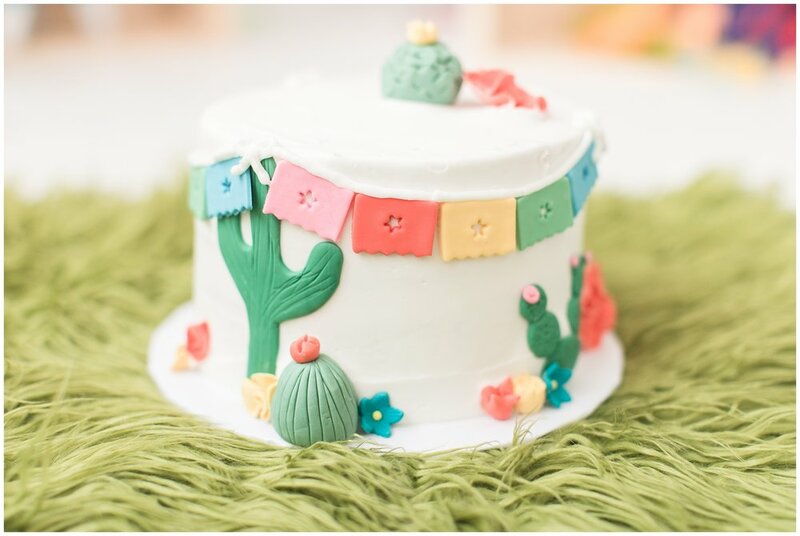 This cake looks so whimsical with its mexican paper flags and blooming cactus. I can’t believe how quickly this year has flown by.. its an honor to have photographed Levi’s first year!